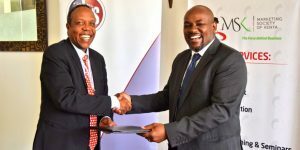 We are pleased to inform you that The Marketing Society of Kenya (MSK) on Friday 18th January 2019 signed a Memorandum of Understanding with Strathmore University Business School at the University’s main campus in Madaraka, Nairobi. The MOU will establish a framework of co-operation throughout various initiatives steer headed by the two institutions and in a bid to see changes in the face of marketing in Kenya and Africa at large. 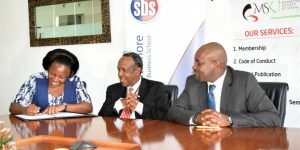 MSK’s objective has and remains that of developing individual/organization’s marketing capacity and sensitization of the Kenyan industry whereas Strathmore University strives to provide an all rounded quality education in an atmosphere of freedom and responsibility; excellence in teaching, research and scholarship; ethical and social development; and service to society. 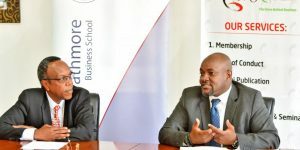 Organize Conferences on marketing, business, entrepreneurship; Workshops on topical issues within the country, Networking events, facilitation of Mentorship, attachments and job placement and carrying out Research that will influence policy making in the country.